Donate today for a chance to win Greenwich Town Party Tickets! WE HAVE GREENWICH TOWN PARTY TICKETS! Five lucky people will be chosen on May 11, 2018 to receive 4 tickets (2 adult, 2 child) to this year’s Greenwich Town Party with Eric Clapton. 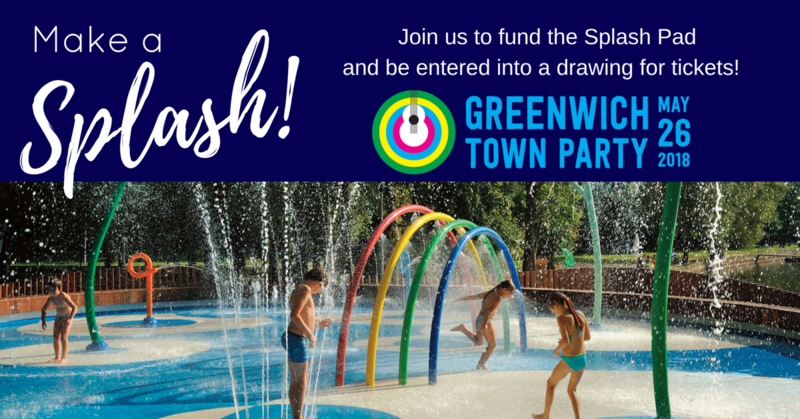 Each contribution of $100 to the new Splash Pad at the Greenwich Pool in Byram Park made between now and May 10, 2018 will be entered for a chance to win. For additional chances to win, contribute multiple times and help us build the Splash Pad!